Hey friends! Today we are going to delve into an important, but somewhat touchy topic for bloggers. Many bloggers I talk to have not even thought about starting an email list, never mind growing one. I understand- as a blogger, there is sooo much to do. To be honest, I had no idea how much work was actually involved when running a blog. I knew there would be writing involved, obviously, and social media…but that was about where my knowledge ended. So, I threw myself into it and quickly learned as much as I could. I am a researcher by nature, so compiling information comes pretty easily for me, and it was actually enjoyable. Then, YOU get the blessing of me sharing it with you! Win, win. Anyway…I realized early on that an email list was important if I wanted to earn an income from my blog. And let’s get real – as much as I truly love writing and sharing what I have to say with you all, I also want to contribute to my family’s income and ultimately bring my husband home from work. I know, huge goal…but I wholeheartedly believe that will happen in the not too distant future. Soooo….I set about building my email list. I have gained a little over 1200 email subscribers in the first 4 months of starting my list, and now have over 4K subscribers. The best part is, I have enjoyed doing it! It hasn’t been nearly as hard as I thought it would be and the benefits far outweigh the time invested. I am building my community…and community is everything. I can connect with the women on my email list in a way that I can’t do on my blog. Many of them write back to me and we end up chatting back and forth through email. If you intend to monetize your blog and earn an income, you want an email list. It is how you communicate with your readers on a different level, how you can introduce your products and offerings, how you can gain feedback from your readers and so much more. Your email list is the only thing you truly own. Your social media following could disappear in an instant - then where would your business be? Click To Tweet Start your email list NOW, not later. Even if you are a brand new blogger, start your list now. Yes, set up an email list even before you have traffic coming to your blog! WHY? Because you don’t want to miss all that traffic when you do have it. Think about it, you are spending so much time trying to drive traffic to your site. But what do you do with it? If you had an email list and some opt-ins for those people coming to your site, you would actually benefit on a level other than pageviews. Ok, I am not going to get too technical in this post. For now, know that you need an Email Marketing Provider. Many people use MailChimp as it is free until a certain number of subscribers. To be completely honest, I did sign up for MailChimp when I started and could not figure it out for anything. And I am not exactly technically challenged. So, you can look into it and see for yourself, but I had a hard time with it. There are many tutorials out there if you choose to go with MailChimp. I ultimately chose to go with MailerLite and have been extremely happy with them. They are free until 1000 subscribers, but even after that their prices are so reasonable. In full disclosure, I did switch to Convertkit for a little while, because soooo many bloggers love them. It is a great company and Convertkit has so many great features, but it can be pricey and there is a steep learning curve. I chose to go back to MailerLite pretty quickly and have no plans of switching. If you are curious about why I chose MailerLite over other popular providers, read this post HERE. 2. RESOURCE LIBRARY – if you are someone who likes creating printables, you could offer a whole Resource Library for free on your blog. This is essentially a password protected page on your site where you upload all your free printables for those who opt-in to your library. I created a “button” using PicMonkey and then uploaded that into MailerLite. When you click this button, it takes you to a Landing Page I also made in MailerLite, which gives you access to the free library. Go ahead, try it! 3. PRIVATE COMMUNITY – you can create an opt-in to give your readers a chance to join your private community. I have two private communities on Facebook where people need to sign up to join. One is for bloggers and one is for moms, wives, and homemakers. Here is a look at my opt-in for my private blogger community, Blogging with Heart. This is just a webform I created and then embedded into my post. You can see how it looks in my post HERE. Feel free to join the group too, we would love to have you! 4. FREE EMAIL COURSE– this is one of my most popular ways to grow my email list. It has worked incredibly well, and I have to say it as been my favorite way. I have created a free 5 day course for moms and wives and have been so blessed my the feedback I have received from it. This is also where that other private community comes in, the one for moms and wives. I have a “button” that I place in some of my posts and I have a landing page for the course. You can see the landing page by clicking HERE and the button below. Both take you to the landing page. 5. FREE CHALLENGE – this is along the same idea as a free course, just worded differently. You can have a longer challenge, or a more immediate challenge depending on your end goal. I have a free 5 day Goal Setting Challenge called Plan to Thrive that you can see in this post HERE. You’ll notice it takes you to another landing page to sign up for that challenge. Landing pages convert extremely well! 6. Pop Up – Did you notice the pop up when you visited my site? That is what I am talking about here. And yes, I know they tend to be annoying. Because of that, I held off initially on adding a pop up to my site. However, because I know many of my readers are moms, wives, or homemakers, I wanted a way to have them join my list in a way that is just for community, and not in exchange for anything. If you know that the majority of your audience would appreciate getting on your email list this way, try it and see how it works for you. I have been pleasantly surprised to find out that about one third of my subscribers come from this pop up. That is not something to shy away from! I have a few more opt-ins on my blog, but these are the ones I use most often. You need to find what works for you and your readers. I know it can seem overwhelming, but you will get the hang of it quicker than you think. Honestly. If I went into much more detail, this post would be incredibly long, so I did create a CHEATSHEET for you that you can download and print out. See how I did that??? But seriously, use this cheatsheet to remember the steps you need to take to start your list. I have also included a list of opt-in ideas for you to think about and decide which ones will best fit with your site. Create multiple options for people to join your list! Have a tightly-related opt-in offer for every bit of content on your site. This way, you’ll never miss an opportunity to gain an extra subscriber. Have a mix of landing pages, buttons, webforms…after a little while, you will start to notice what works best for you. Choose a great, enticing offer that will appeal to the kind of reader you are trying to attract. Think long term and build your community! I would LOVE to see what you create, so please reach out and let me know! You can comment on this post, email me anytime, or join Blogging with Heart and connect with me there. Now go LAUNCH YOUR LIST! I really need to set up some sort of challenge or course or freebie to get my email numbers up! It is a great way to grow your list, my favorite! Sounds like you are on the right track, Ailie! You have a lot of great ideas. These tips are really helpful! I started on mailchimp a few weeks ago but maybe I need to try MailerLite! Hannah…Lol. Maybe I should write another post 😉 Ok, organizing your subscribers is very easy. I do have a list for each opt-in. After they have gone through that particular optin, like a free course, I do move them over to the “larger” list. This may be a list for bloggers or it might be a list for moms who need encouragement. As far as creating a password protected page, I just do that on my site. My theme allows that, you may need a plugin if not. I put almost all of my printables in the resource library after a little while of using them as exclusive optins. Hope that helps! Congrats on getting started! I really appreciate your insight on building an email list! It has not been a priority for me thus far, but I know I need to work on it in the future. This is really helpful! I get the “why”, but man, have I struggled with the “how”! You make it sound easy and like something I can do…I just need to do it! Brilliant! I’ve bookmarked this and will come back and learn more over the weekend. Thank you!!! I need to do this!! 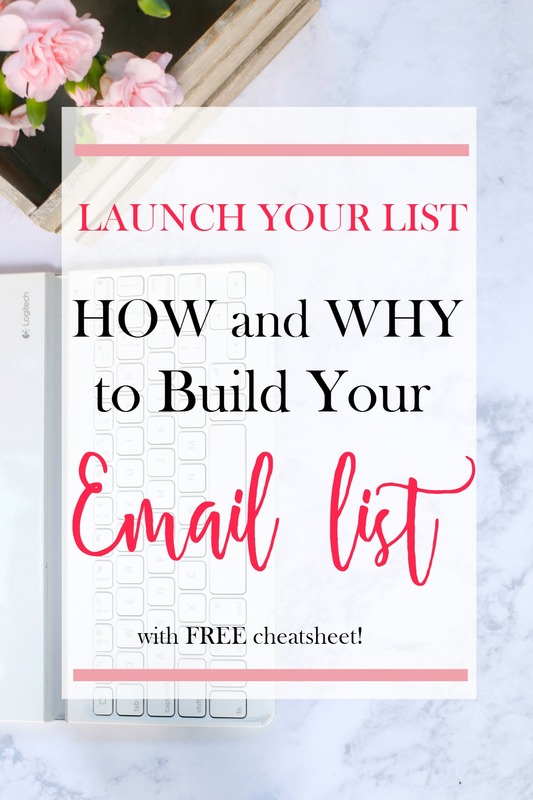 I’ve been putting off creating an email list because I didn’t even know where to start, but this is super helpful and I can’t wait to do this. Im trying to work on my e-mail list. Actually the most recent post I put up has an opt in. Hopefully it works like I want it to and people sign up for it. I love the idea of printables and know that I need to get on this. – What software do you use to make them? Also, you have got me thinking about how I can offer an online workshop. Thank you for some great tips! You are very welcome, Beth! For my printables, I use a mix of Word, Excel, Canva and PicMonkey. I’m playing with InDesign now too. Aww, glad you found it helpful Abbey! I’ve always wondered about the email opt ins that I see on other’s blogs and how they worked. This was helpful. I guess it’s time for me to start building a list – thank you! Good luck with it, Tiffany! Happy to help! Seriously you’re awesome for including options when it comes to opt-ins! so many bloggers recommend it, however it can be hard to find a way to implement an opt-in. Thanks for sharing! Ah man! I don’t focus much on my mailing list….just let them stream in at only like 1 a day. I need something to start am ping up my list. Now you have me thinking! Thanks for the suggestions! Honestly, this is overwhelming. Just like you said, I had no idea how much time and energy would go into creating and trying to grow a blog! This is a great idea. I haven’t started an email list yet . I think I will. I am not consistent with blogging and don’t want to rush it. But you have great suggestion will surely do it this year. I loved your suggestions! I’m also glad to hear that I’m not the only one who didn’t find MailChimp intuitive! I’ll have to check out Mailerlite! Thanks for the motivation! Man I wish I had as many email subs as you. Mine is growing very slowly, but hopefully I can get in the thousands. Or even hundreds at this point. Thanks for this post! Recently, I started blogging again. My goal is to create my blog into a positive brand. Building an email list is a huge adjustment for me. Your information has given me some great insight on how to grow my email list and influence individuals to opt-in for my newsletter. These are such great tips! I am hoping to grow my subscription list this year so these times will come in handy for me! I’m super excited for February because I’m starting my first challenge! It’s something I’ve been looking into for a while, but never committed to. Hopefully this will give me an opportunity to grow my email list! I really need to focus on this! I have a small list, but haven’t done anything proactive! Omg I have had an email subscription since the summer but no one has signed up! How did you get those subscribers? Hi Tara 🙂 I outlined quite a few ways I got subscribers in the post- using the different opt ins I have. Of course, I use social media to promote my courses and printables too. The key is finding an opt-in that really appeals to your readers, not just putting one up there. Find out what your readers want and serve them. Maybe do a survey? Use Google Analytics to find your most popular posts and create an opt-in around those. This info is AWESOME! I signed up for the cheat sheet and will be implementing it soon! Thanks so much! I just created an opt in. I’m hoping it can help me get more subscribers, but I think I need try some of these other ideas. great list. 1200 in just 4 months?! That’s fantastic! I just implemented segmented lists for each of the 3 niches I write about, so I’m hoping that will help. Love these suggestions! Thank you! Ok well I need to re-read this and take notes! And look at some of your courses!! Thanks for this, I just started thinking about growing my list. 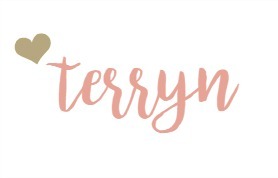 I really appreciate this post, Terryn! I FINALLY launched my free 3-day email devotional at the beginning of the year and my goal is to do another, more in depth freebie devo soon. I also use Mailerlite and love them! I saw that, it looks fantastic Kristin! Pinning this because I definitely need to work on building my list! Visiting from Bloggers Get Social. LOVE these ideas!!! And signed up. 🙂 Thanks for all this info! Hey Cindy, thanks for visiting! I’m glad it helped you! I love that you have a straightforward worksheet and I look forward to using it! I understand that, Veronika. I am sure you know you could use your own address. But, some people go in with a few others bloggers and split the cost of one PO Box. I’ve been thinking about how I rly need to look into doing an email list so this was helpful, thanks!!! Love this post, but my trouble is always coming up with IDEAS for freebies. Like what kind of challenge? What kind of printable? I would love to see a post on how to create great freebies – it would be so helpful! I’m hoping to grow my email list ASAP. Thanks for the tips! I just pinned for later. Doing this is on my to do list! I cannot thank you enough for this post – exactly what a new blogger like me needs! I cannot wait to use some of these tips to help grow my list! Aww, I’m so glad this helped you Sandi! I am working on my email list. It is finally growing. Slowly, but growing. I am also using Mailerlite and love it! I love all of your ideas on this post, but the part I struggle with the most is how to implement it? I’m not sure how to do it. I want to have free printables as an opt-in incentive, but have no idea how to go about that. I will have to do more research. 🙂 Right now I just have one regular email list of subscribers I send out a monthly newsletter to outlining the posts for the month and other tidbits. Hi Ann! What part are you struggling with? For printables, I create them and upload them as a pdf on my site. Then, I normally link to them in my email, after people have signed up through the opt-in. Does that make sense? This is a very encouraging post with great information! My goal is to grow my list to 1k by the end of this year, so 4 months is exciting. 🙂 I have quite a few opt-ins on my site but still haven’t gotten any of them to take off a whole lot yet. I’m continuing to experiment and tweak until I find what works. Getting visitors to my site to even know my opt-ins and posts exist is high on my priority list right under creating awesome content. Thanks for the awesome post! i feel like I always ignore my email list even though I need to spend more time on it! Thank you for showing me how to do it and how to get organized. This is how I started my email list. I was already giving away a free printable (and had been for a while). I moved it to an email list instead. The first day I had 20 subscribers! Could you imagine if I had been doing that for the 2 years that I had it up on my site!? This is a great post and has me thinking (yet again) about what my opt in could be. I’m not selling any products. I currently use Mail Chimp and haven’t had any issues. These are great tips for when I’m ready to start one! Saving this! By the way, I tried to click on the Conquer your bundle image on your right sidebar,and it didnt go anywhere. Thought you might want to know. Thank you so much for sharing! I go back and fourth about creating a mailing list, but haven’t yet plunged in. Ahh!! Definerly need to start ASAP! When you look at it as a whole it seems pretty scary and a big undertaking.